I WAS blown away by the performance from Studio’s youth theatre who took on the mighty musical Les Miserables. The singing and acting was top notch and demonstrates the high calibre of performers Studio Theatre’s youth members has. Senan Richmond, who played Jean Valjean, and Fraser Adams, who played Inspector Javert, were perfect for the roles as the two mortal enemies. Fabia Alexander (Fantine) gave a beautiful rendition of the iconic I Dreamed Dream as did Georgia Day with her performance as Eponine and On My Own. I loved the portrayal of Thenardier and Madame Thenardier by Jake Pugh and Megan Corbett who were very funny and brought a lighter note to the production. 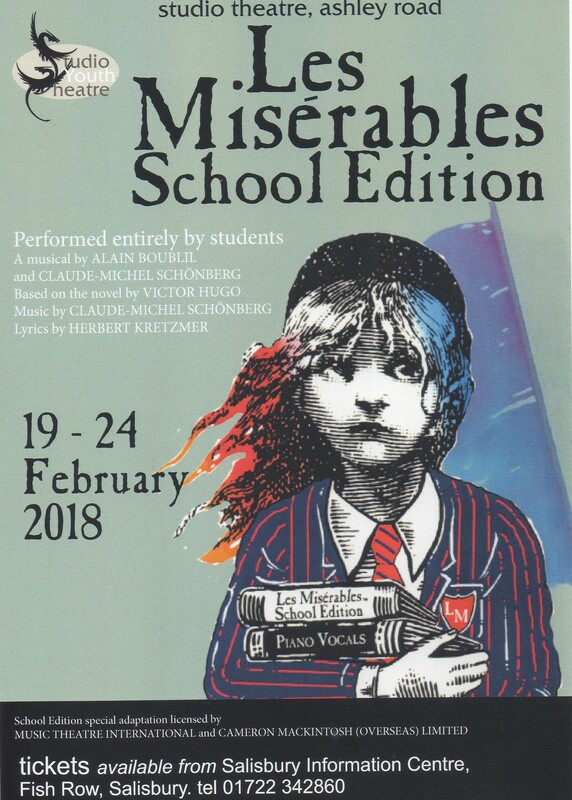 The musical was brought together superbly by director Peter McAuley and musical director Nicola McKeown with wonderful costumes. This entry was posted on January 13, 2018 by salisbury_matt in reviews.